A lot of our LG G6 information comes from LG itself, and today’s news is no different, as the company has just released a teaser suggesting the phone could have a new generation of AI assistant on board. That doesn’t give much away, but of course the mention of artificial intelligence certainly suggests that a notable one will be included. The most obvious choice is Google Assistant, as it’s already been rumored that the LG G6 will use Google’s upgraded AI. But Amazon’s Alexa is possible too, especially as LG has already used that in other (non-phone) devices. Yet neither of those would quite line up with LG’s claim of bringing it first – the G6 could be the first non-Pixel phone with Google Assistant, but it wouldn’t be the first smartphone, and the Huawei Mate 9 has beaten it to the Alexa punch. Or, it could be that LG will pack in both Google Assistant and Alexa – it would certainly be the first to do that. 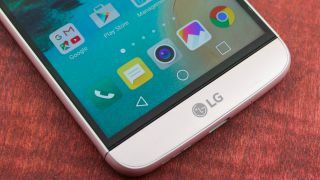 A final possibility is that LG could be working on its own AI, much like Samsung is doing with Bixby for the Samsung Galaxy S8, though we suspect this would have been leaked by now if that was the case. They’re all intriguing options though, and we’ll know which is right soon, as the LG G6 is being unveiled on February 26.